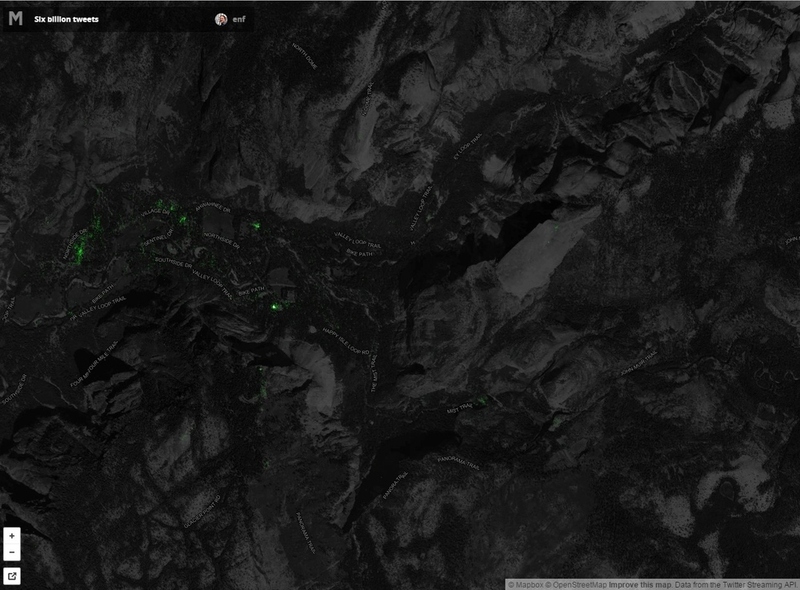 Check out the Geo-tagged tweets in Yosemite Valley. If you look closely you can see that people are tweeting from the top of Half-Dome, The Mist Trail, Glacier Point, and many parts of Yosemite Valley. Harnessing this publicly available information may help in understanding what people are thinking and doing in our National Parks.